Our Casablanca Airport Transfers always include a private, air-conditioned vehicle with professional driver. Our drivers can speak French, Spanish, Arabic and English. You can indicate your preferred language when you book. Don't forget to tell us your flight number when you make your booking, so that we can monitor your flight for any delays. At peak times, it can take a while to pass immigration and get your bags, but you can relax because your driver will wait for you! Your private vehicle will take you from Casablanca Airport to the city, and drop you off at your chosen address. If your drop off address is inaccessible by car, the driver will accompany you on foot, or arrange a meeting point with a staff member of your hotel. Casablanca Airport is located about 45 minutes from Casablanca City Centre. Depending on the traffic, it could be slightly shorter or slightly longer. With TangierTaxi, you pay a pre-paid fixed tariff which is a flat rate to anywhere in the city, so you can be sure there are no hidden charges or fees. Casablanca Airport is the biggest airport in Morocco, and is the main base for the national airline Royal Air Maroc. 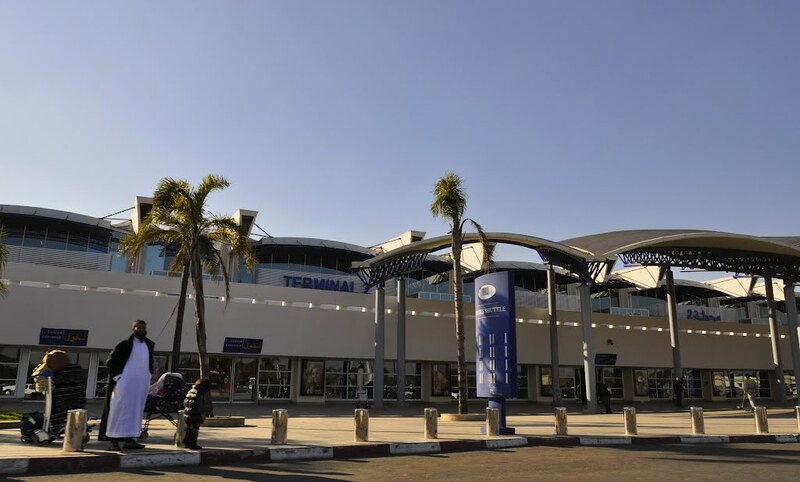 Casablanca Mohammed V Airport is a major hub in Northern Africa and has direct connections to destinations around the world, including North America, South America, the Middle East, Europe, and of course Africa. For most people, it is the main starting point for a trip in Morocco. If you are interested in finding out more about our other Casablanca Taxi Services, then just click on the link.